These spring days can be such a tease, sunny and bright one minute and then a windy deluge the next, but ohhh the green! Bright shiny blades of emerald appear in magnificent patches across our lawns and meadows, flowers shoot up between cracks in the pavement and all the zoo appears to be bursting with life. 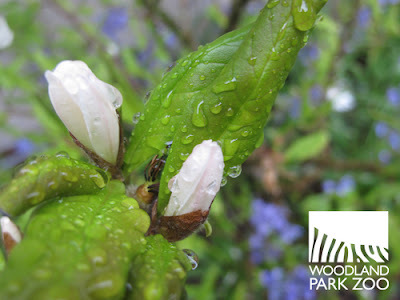 Star magnolia after a heavy rain at the zoo. Photo by Kirsten Pisto/Woodland Park Zoo. 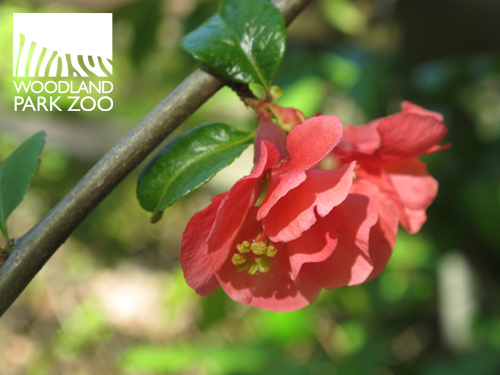 The science behind springtime weather has an immense impact on our zoo. After just a few weeks of spring rain showers and warmer days, the blooming canopy on our 93 acres has changed the landscape considerably. 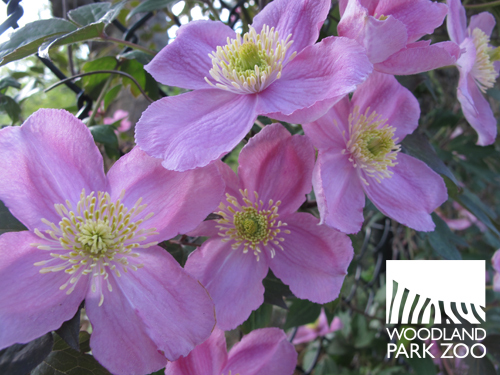 Hundreds of trees, shrubs, and flowers are in full vigor. The thriving green scenery that cloaks the zoo this time of year makes a distinct impression on visitors and residents alike. During April and May, solar radiation begins to heat up the earth's surface more and more. The northern hemisphere tilts towards the sun, sunrays are more direct, and daylight hours are longer, warming the ground, water and lower atmosphere. In the upper atmosphere, the air still holds its winter chill. When the warm, moist air begins to rise into the colder upper atmosphere, water vapor is formed and precipitation is squeezed out into rain. 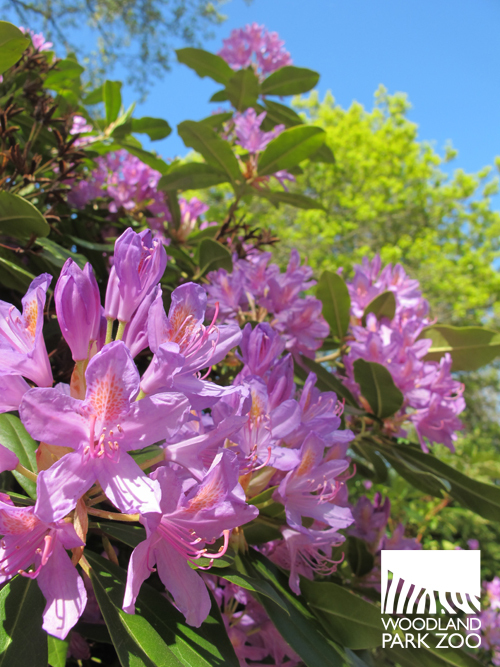 Purple rhododendrons in full bloom. There are over 1,000 species of rhodies, and they are the Washington state flower. Photo by Kirsten Pisto/ Woodland Park Zoo. A Japanese camellia, Camellia japonica, soaks up the afternoon sun. Photo by Kirsten Pisto/ Woodland Park Zoo. Seattle actually gets the majority of its rain during November, but our spring rain showers tend to be heavier than the constant drizzle we put up with during winter months. The warmer temperatures have a lot more to do with Seattle’s spring growth than the amount of rainfall. Right now, spring days are both rainy and sunny, but soon we will slip into our annual summer dry season. It’s strange to think that Seattle actually has a dry season, but we certainly do! An elephant dips her trunk in the spring rain. Photo by Mat Hayward/Woodland Park Zoo. 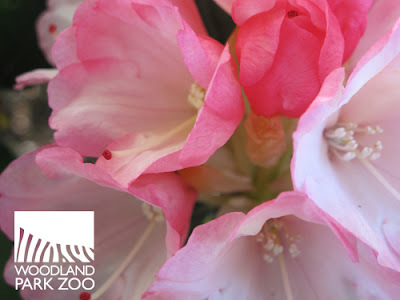 Pink rhododendron show off throughout zoo grounds. 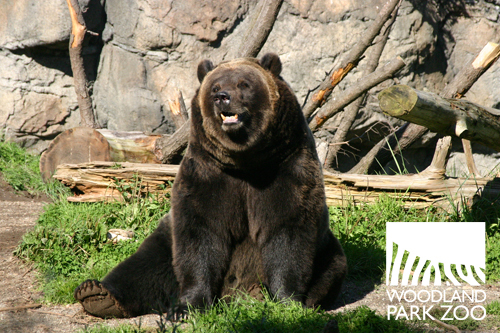 Photo by Kirsten Pisto/Woodland Park Zoo. The dry time of year for the Pacific Northwest is the last half of July and the first half of August. 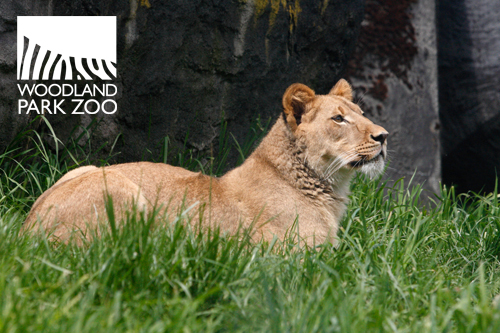 During this time, the zoo will often go ten, twenty, even thirty days without any rainfall! Our horticulture team measures ground saturation and rainfall to determine how much watering needs to be done. Water conservation is a big job at the zoo. We have to balance a sustainable watering system while keeping the zoo blooming for residents and visitors. A grizzly bear enjoys a spring sunbreak on the grass. Photo by Dennis Dow/Woodland Park Zoo. The animals enjoy the warmth and longer spring days just like all of us! Take advantage of the naturally green grass during spring; when the dry summer months appear you’d be better off going golden. What exactly is going golden? As far as the lawn goes, the rule is golden grass is a green yard! The average lawn needs only about an inch of rainfall per week. In the summer months, letting your lawn turn a golden color is the most sustainable and natural way to keep it up. Consider letting your lawn brown during the hottest parts of summer, when keeping up a green color would require a surge in water consumption. If you let the lawn brown, it will go into a dormant period but stay alive and healthy with about one inch of water every few weeks. 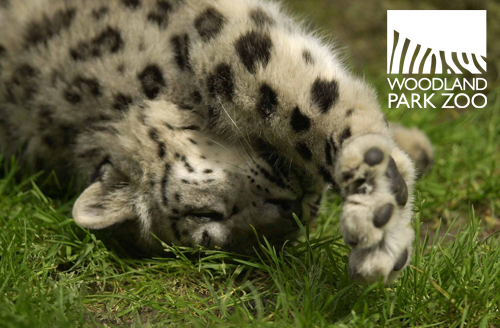 A snow leopard stretches out on the fresh green grass. Photo by Dennis Conner/Woodland Park Zoo. A lot of people actually over water their lawns because they do not measure. Overwatering wastes your money and the region's resources; it prevents plants from getting the oxygen they need and makes them vulnerable to disease. It also causes pollution by allowing fertilizers and pesticides to run off into creeks, lakes and the Puget Sound. What can you do? Build a rain gauge! 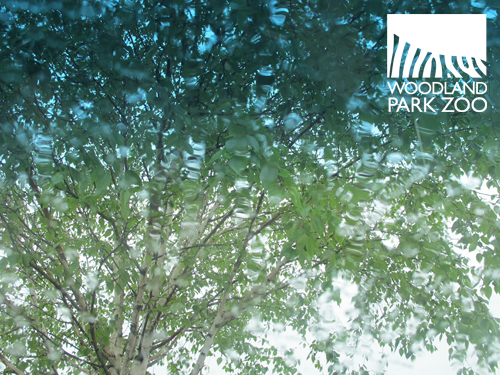 Knowing how much rain has fallen will help you maintain your lawn and keep it green, both in color and ecologically! A rain gauge can be your guide to water conservation and smart gardening. 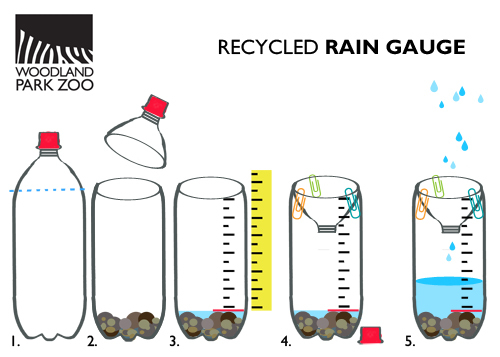 Here is our quick guide to building a rain gauge out of recycled material. Empty and wash out a 2 liter bottle. Cut off the top where it begins to curve. Set aside top. Fill the bottom of the bottle with small pebbles and sand for weight, about an inch and a half deep. Pour water into the bottle, just so it covers the sand and pebble floor. This is your saturation line (red line above). Beginning at the saturation line, use a ruler to mark (with a permanent marker) every inch up to the top. You can add dots for ¼ or ½ inches if you like. Take the cap off the top of the bottle. Invert the top and place into the vessel to create a funnel for the rainfall. Secure the two parts together with paper clips or duct tape. Place the rain gauge in your garden or on your lawn in an open area, where nothing will block the rainfall. Check your rain gauge every couple of days to measure how much rainfall your yard is getting. Use this gauge to make sure that your yard gets the amount of water that it needs and nothing more. Save water. It's the responsible way to maintain a lawn! A lioness prowls through the tall spring grass. Photo by Dennis Dow/ Woodland Park Zoo. 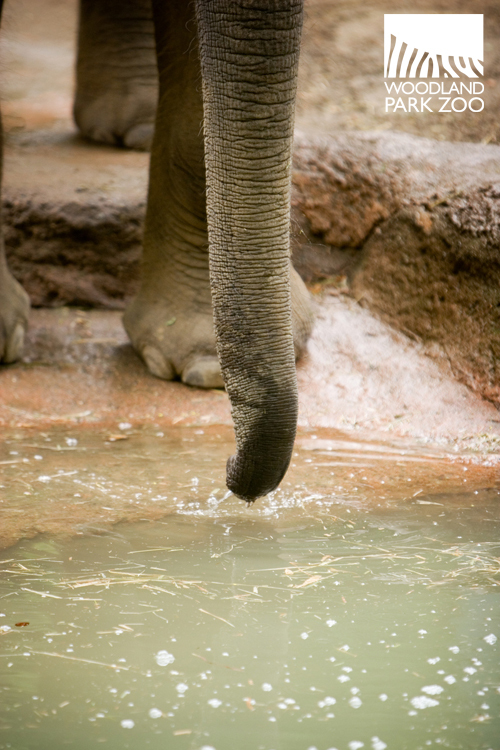 Some of the watering tricks we practice at the zoo can also be applied to your own gardens. 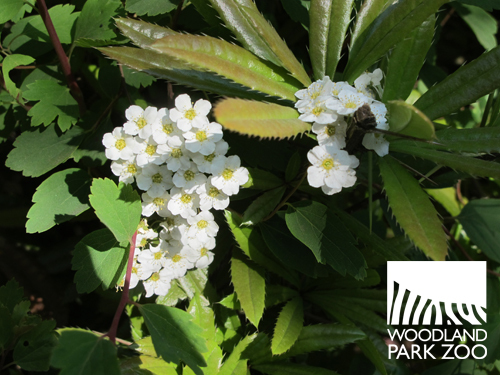 Plant as many native species as possible, those that can be root wet in the rainy months and tolerate very dry spells in mid-summer. Try to group similar plants together so that they can take advantage of comparable watering practices. Use soil moist organic compost at the base of plants to act as a sponge for hydration. Compost should feel like a wet sponge after you’ve squeezed out most of the water, moist but not too squishy. Water the feet: overwatering the leaves and flowers on a plant wastes water and doesn’t do much good, this can actually cause mold and decay, instead, water the low ground around the roots. Installing a drip irrigation system or soaker hoses are easy ways to make watering more efficient. Julienne barberry and Spiraea surround white petals near the hippo pool. Photo by Kirsten Pisto/ Woodland Park Zoo. To learn more about sustainable gardening and gain experience building a natural Northwest yard, check out our Backyard Habitat Blog and visit our interactive backyard to see how you can make your backyard a safe, attractive spot for local wildlife! You can learn more about keeping a golden green lawn at Seattle’s Saving Water Partnership. 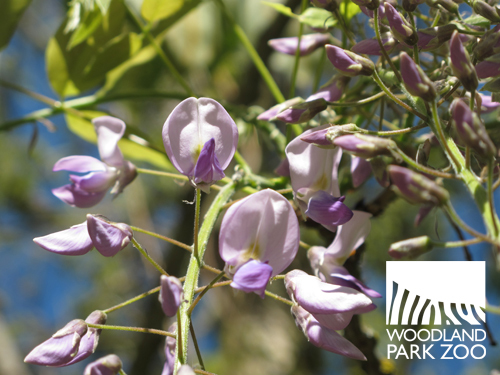 Chinese wisteria, Wisteria sinensis, climb towards the sunshine. Photo by Kirsten Pisto/ Woodland Park Zoo. And come check out the North Meadow—now is the perfect time for tossing off socks and plunging toes into fresh spring grass! Thank you for the rain gauge. I will use it for my Bear Cub Scouts every year when they work on the Conservation Badge.